Altecnic’s Managing Director Alan Sherwin is stepping down after 18 years with the Stafford-based specialist in plumbing and heating products and systems Altecnic. Having spent the last eight years as MD, Alan is retiring and handing over the role to Gary Perry, current OEM Sales & Technical Director, at the end of April this year. Throughout his career, Alan refused to subscribe to the autocratic style of management and is proud that all of the substantial milestones that Altecnic has achieved since becoming MD have involved the buy-in of the entire workforce. This has developed a culture in which everyone works hard for the benefit of the business and not the individual. It’s a type of culture in an organisation that makes an MD’s role both rewarding and satisfying. Alan joined Altecnic in February 2000 and became finance director shortly after. He says he was extremely proud to be offered the Managing Director’s role in 2010 by Marco Caleffi, President of Altecnic’s parent company Caleffi. Central to any MD’s role is to grow the business profitability and over the last eight years Altecnic has grown by a third to a turnover of £40m. This growth has enabled the workforce to almost double over the last 10 years, with the business now employing around 90 staff. The future MD, Gary Perry, joined Altecnic in 1996 as technical manager. Since then, the sector has seen a huge amount of changes in products, legislation and technical requirements and Altecnic’s product range has evolved substantially. Even though Gary’s roles over the years have become more customer-facing, every day he draws on his vast experience of product development and technical acumen, always taking into consideration the industry and its requirements. The whole purpose of Altecnic’s product development, he says, is to ensure the company provides first-class solutions to the market which are not only innovative but also simple to install. 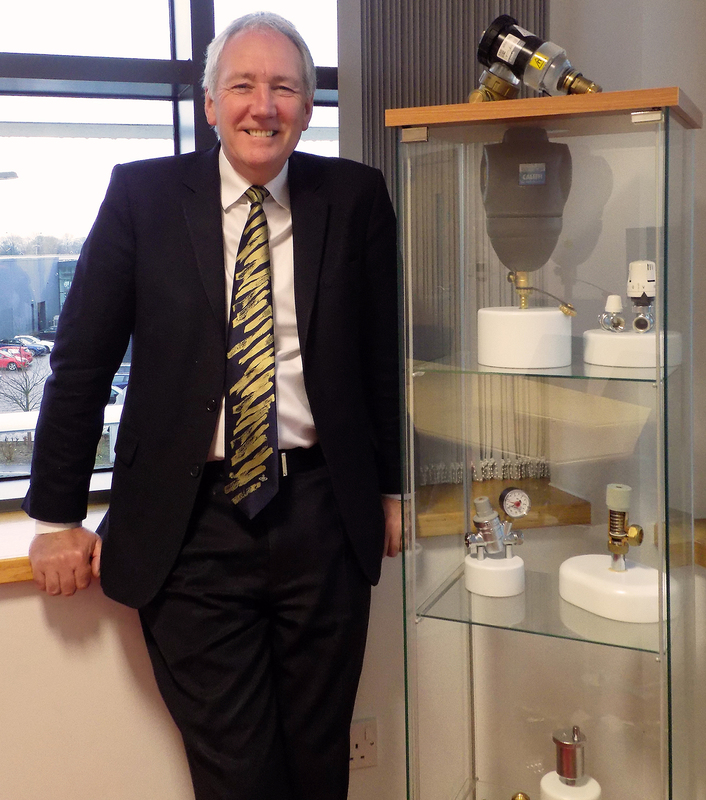 Amongst Gary’s career highs is his involvement in the thermostatic mixing valves market, where he played a key role working with the whole of the industry in developing standards to improve products and safety. He is particularly proud to have been part of the team that developed TMV2, TMV3 and the DTC standard for thermostatic products and being part of the launch of new products like Altecnic’s patented RoboShock. Now, in 2018, Altecnic has one of the largest technical support teams in the sector which, under Gary’s management, has been working to set the benchmark for pre- and post-sales support offered to customers alongside excellent quality products and first-in-class service levels. Altecnic’s Managing Director Alan Sherwin is stepping down after 18 years with the company.